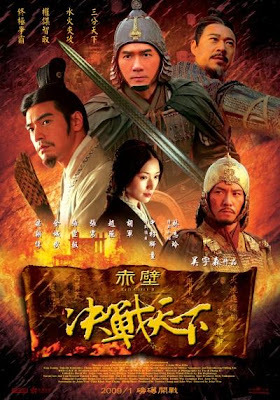 I went to watch 赤壁 决战天下 (Red Cliff 2) with Lionel yesterday. Surprisingly, the people turned up for the movie was not many. In the whole theater room, it was like around a total of 25 people only. Maybe it was 5:20pm show? As the war scene commenced, I started to think of the similiar scene in LOTR - Return of the King. I know its unfair to compare them as more budget was allocated for LOTR compared to this movie. Overall, this does showed how 吴 and 蜀 fight again 曹贼 (I guess this name suit him though). Never expect the wind will change direction in one night, the power of weather? Never expect 40 thousand of soldiers can demolish a team of more than 100 thousand soldiers. Never expect the movie ended where it seem all the 3 parties considered as loser. I guess you better go to your nearest cinema and give it a try. I spent my RM8 for this movie and I must say it pretty worth it. At least better than the money I spent on Cloverfield a year ago. 8pm, 5 of us went into Kbox Parade for a karaoke session till 2am. Time to refrain myself to Kbox/Ebox in the near future, at least my wallet will feel better. It was a great night with the companion of Lionel, Lynn, May and Tracy. Lionel basically knows a lot songs and he sang pretty well! Gonna drag him together often in the future. Lynn, she really can sing those songs with high key. I mean very high key! That's something I can never do in my life. Tracy, as usual she can sings all kind of songs. Oldies, new songs, english, cantonese, mandarin, hokkien, low key, high key........都没问题！Maybe she should enter singing competition? While myself, as usual nothing special, so no comment about my singing. No photos and videos for yesterday night karaoke session as I didn't bring along my digital camera along. Happy Chinese New Year to all my friends who reading this!